MindShift will help you learn how to relax, develop more helpful ways of thinking, and identify active steps that will help you take charge of your anxiety. 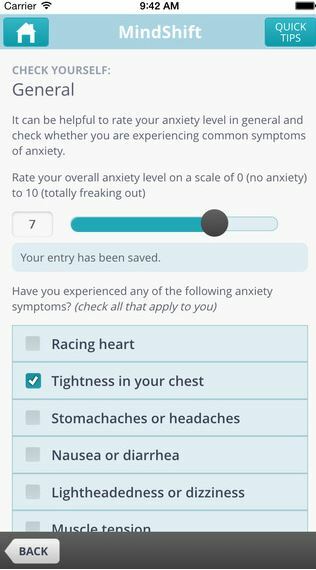 This app includes strategies to deal with everyday anxiety, as well as specific tools to tackle exam anxiety, perfectionism, social anxiety, performance anxiety, worry, panic and conflict. 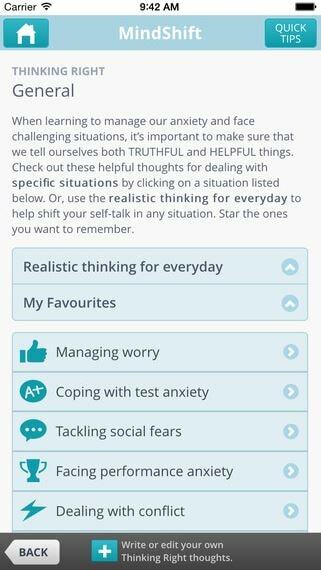 This app aims to improve the coping skills of young people and to assist them to tackle anxiety. 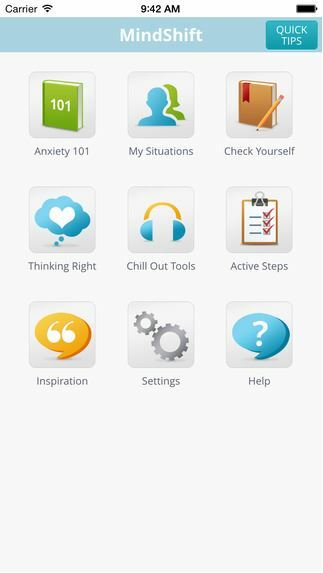 The app provides a variety of methods for young people to respond to anxiety including; developing their knowledge of anxiety and symptoms, engaging in relaxation tasks, evaluating their level of anxiety in particular situations, developing realistic thinking patterns and changing behaviour. Young people can tag favourite approaches for easy access later. I would use this tool if i am ever experiencing a tough time and also testing if i may be feeling anxious for a longer period of time in my life. I really like how extensive and helpful the information, coming from a reliable source. I also like how helplines were included for those situations that may be becoming out of hand. It's good for reminding people how to calm down. It's not something that i would remember to use when needed. I liked the tips and tricks it gave me, this is an app I will definitely be using in the future! I would like it it be a bit more interactive, I enjoyed those parts the most.